Last season for the Kings, it was Ilya Kovalchuk. This year’s off-season dilemma? Re-signing Drew Doughty. Put aside trying to land Brad Richards via free agency, Dean Lombardi has been trying to get a new deal in place for the defenseman before training camp. The plan was to have Drew signed by July 1st, but here we are, the start of training camp and no new contract. So what’s the hold up? The past few days have seen a lot of fans blaming Doughty and calling him a “diva” for turning down a long-term deal worth what is believed to be an average of $6.8 million. We don’t know the specifics of what the Kings offered, but it has been reported that Doughty’s camp is asking $7 million. Lombardi has publicly stated that he thinks what he offered is fair and wouldn’t be offering more. 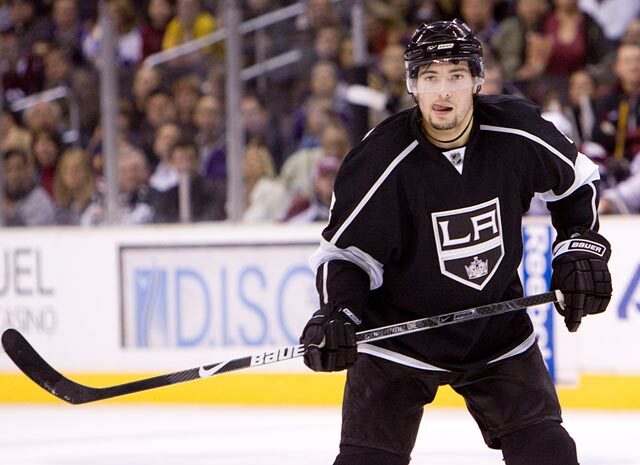 The Kings have no issues with cap space, so why can’t Lombardi give Doughty what he is asking? The easy answer would be that he is spending wisely. We have seen this team go through the rebuilding process since Lombardi was hired on as General Manager in 2006. He is taking every step to make sure the Kings are going to be successful for years to come. He is taking extra care to be sure he can have all the right pieces in place to make that vision become reality. Drew Doughty is a valuable player. With the direction the team has been headed the past few seasons, getting a contract in place is a priority. 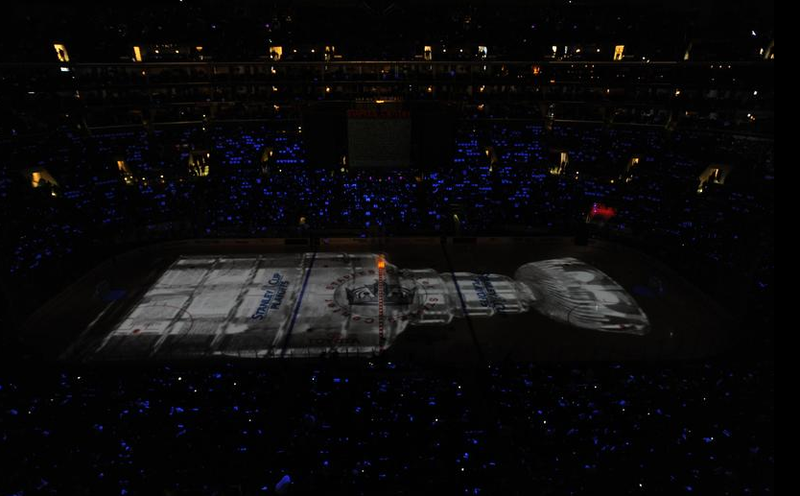 This weekend, the Kings hosted their third annual Hockey Fest at Staples Center. It sold out to 3,000 fans and was an opportunity to interact with the Kings players and staff. The organization and fans recognized those who lost their lives in the September 11 terrorist attacks and the players who lost their lives this off season, including those involved in the tragic Yaroslavl Lokomotiv plane crash by observing a moment of silence. First up on the agenda was the State of the Kings, where fans were able to ask questions to Kings General Manager Dean Lombardi, Assistant GM Ron Hextall, Head Coach Terry Murray and VP of Hockey Operations Jeff Solomon. Bob Miller, who hosted the panel, got the ball rolling with the question everybody had on their mind: Drew Doughty. Lombardi seemed more interested in whether or not Heidi Androl would be coming back for another season with the broadcast team, which got some laughs out of the crowd. Much to the dismay of many (male) fans, Bob announced that Heidi would not be returning, yet would still be involved in the Kings organization. As for the Drew Doughty situation, Lombardi’s answer was not more revealing than what we already knew. He did, however, sound confident that Doughty would be in Los Angeles for a long time. 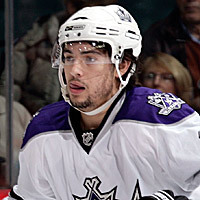 There were also questions regarding the health and fitness of other players, namely Anze Kopitar and Dustin Penner. Good news on both: Kopitar has been having a successful rehab and Penner is in great shape. Another concern fans wanted addressed was the power play. Off-season additions of Mike Richards and Simon Gagne; shot-mentality and net presence? Dean Lombardi’s recipe for power play success. There was also a question regarding leadership and Terry Murray made one thing certain: Dustin Brown will remain the Captain. Through the summer doldrums, I decided to share some of the games I’ve been at. And before you call me bad luck, my Flyers winning percentage is over .700, so these five games are just a small sample. This is only part one of two. Sometime later in the summer I’ll chronicle five awesome games I was at. The highlight of this game was a monster pre-game tailgate we had. And we needed it. Drew Doughty scored the only goal of the game very early in the second period. During the second intermission, @MikePatota didn’t even realize the Kings had scored (since it was so early in the period). Our frustrations boiled over when Jarret Stoll boarded Chris Pronger and no penalty on Stoll was called, this the day after the Islanders-Penguins brawl. Jon Quick had 40 saves to earn the shutout and sent all of us home unhappy. You guys know when you play the Devils it’ll either be 1) fun if you’re scoring or 2) painful to watch. This game was in the second group. I honestly couldn’t tell you who scored but my guess would be Patrik Elias, the Flyer killer. (Checking the boxscore showed he had two goals). I do remember that it was Johan Hedberg, not Marty Brodeur, who shut the Flyers down. Johan Hedberg of all goalies! Restricted Free Agent Drew Doughty, the cornerstone of the Kings' franchise, is still in contract negotiations with Kings' GM Dean Lombardi. Speak to most any Kings’ fan right now about the recent additions to the LA lineup and you’re likely to get a couple minutes of enthusiastic chatter, perhaps a bit of trade skepticism (trading Schenn is going to come back to haunt us, don’t you know?! ), discussion of ever present trade rumors. I’d wager than 9/10 fans will all transition at one point or another to the same topic: Why isn’t Drew Doughty signed yet? 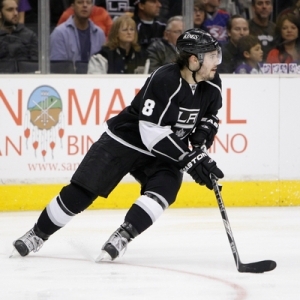 To call Doughty an important cog in the Kings’ machine would be an understatement of sorts. He is the Kings’ franchise player, and young defenseman who figures to be in the conversation about the James Norris Memorial Trophy for the next decade, perhaps longer. He also became a Restricted Free Agent as of July 1st. Enough with it. End the drama. Is there a chance Stamkos doesn’t play for the Lightning next year? Surely, but it’s pretty small. 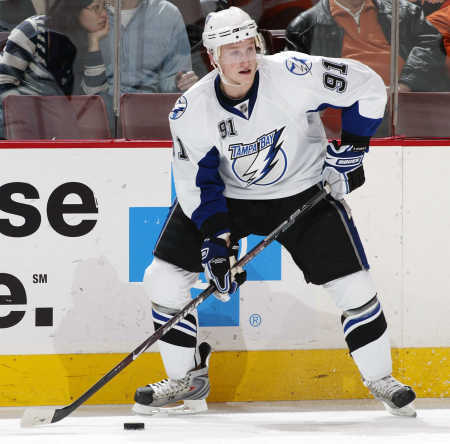 GM Steve Yzerman is trying to do everything in his power to keep Stamkos in Tampa. Stamkos is the team’s biggest marketing tool, and the future of the franchise. Trading (or letting Stamkos go) would be Stevie Y’s last resort, but there’s no rush at the moment. Are teams like the Flyers, Maple Leafs, among other teams, interested in adding Stamkos? Of course. He’s one of the best players in the league, everyone’s going to have interest. How much interest and whether they are willing to part with some pieces is a different story. 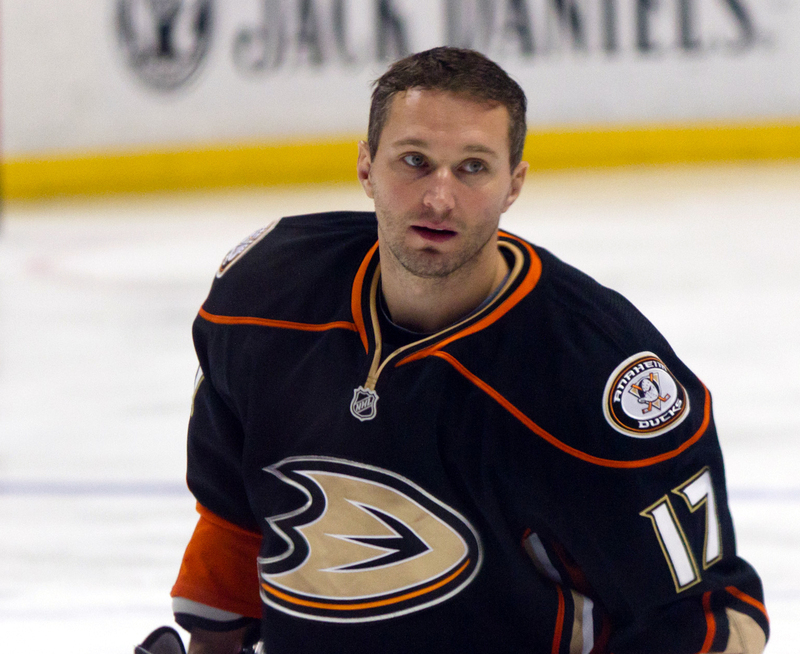 A lot of these types of rumors are started because the NHL offseason has hit a dead spot. Everyone’s bored. 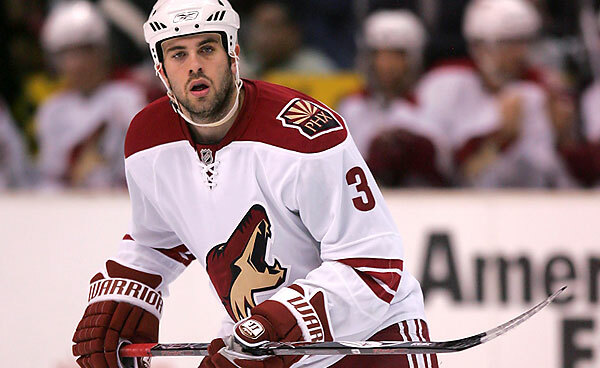 Fans are playing NHL11 and seeing how different players look in different uniforms. Media members have written stories about “no new news” with the Stamkos negotiations and then fans begin speculating (despite the insistence of “no new news”). Rumors start, such as that Stamkos “doesn’t want to play in Tampa”, even though no credible reports have said this. Also, it has been denied over and over. Yet the rumors persist. This is a series where the Crimespree writers will write why they love their favorite team. Wayne Gretzky. I was only one year old when Gretzky was traded to Los Angeles, but he is easily a player that I can attribute to my love for hockey and the Kings. I can also thank my uncles for getting me into the game. Watching playoff games in the garage of my grandparents house is one of the things I remember best. 1993 was the closest to the Stanley Cup the Kings have been and as a six-year-old, all I knew was that I loved this team and I wanted them to be Champions. I never attended a live game until preseason in 2005. It was against the “Mighty” Ducks. Going to a live game made me love the sport even more, and I became even more of a crazy puckhead. When Luc Robitaille became President of Buisness Operations in 2007, he brought the fans closer to the team. Hockey Fest became an annual event that got us an inside look of the organization, letting fans interact with Kings Management, Players and Alumni. It’s definitely an event that makes you feel like you are a part of the team. The rivalry with the Anaheim Ducks makes going to Kings vs Ducks games interesting. The fans don’t like each other in the least bit, and its usually a “who can cheer louder in the other teams house” battle, with the occasional fight. It’s bound to happen sooner or later when you get these two fan-bases together. 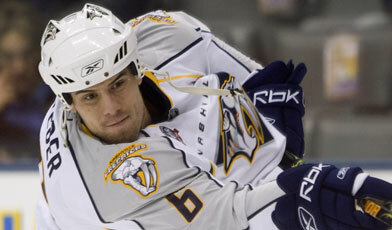 The rivalry was named the Freeway Face-Off in the 2007-08 season, with the loser of the season series donating to the winning teams charity. Every season, Kings fans travel to Anaheim for the “Duck Roast,” making the Ducks arena sound like a Kings home game. I have yet to participate in the Duck Roast, but it’s definitely on my list. Present day Kings. A few changes in Kings Management with a new head coach and assistant coach (Terry Murray and John Stevens) and the man with the plan, Dean Lombardi, the eight year playoff drought came to an end in the 2009-10 season. It looked like the Kings rebuilding stage was finally coming to an end. I was lucky enough to go to the first home playoff game at Staples Center last season, and I have never felt so much energy and excitement. The building was so loud you couldn’t hear the goal horn. It’s something I hope to experience many more times in the upcoming years. Players like Dustin Brown, Anze Kopitar and Drew Doughty give hope to the organization and its fans. Drew Doughty is coming off of a successful sophomore season, winning Olympic Gold, gaining playoff experience and being a Norris Trophy finalist. All at 20 years old. The young team is exciting to watch and they are giving us a reason to cheer again. I love this team more than I can possibly explain, and I hope to see them lift many Stanley Cups.